Rural broadband: How bad is it, and what can you do? Unfortunately, it’s pretty bad. According to Ofcom, average rural broadband speeds are 13.7Mbps. That’s over three times slower than urban areas. Some especially unfortunate places get average speeds as low as 2Mbps. That’s a vast difference and it only seems to be getting worse as urban areas continue to receive faster and faster internet speeds. It wasn’t that long ago when 20Mbps was the gold standard of internet speed. 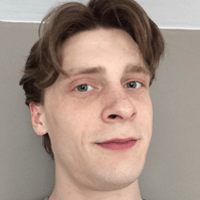 Nowadays, our connections are much faster: Virgin Media’s latest cable broadband package can achieve speeds of up to 300Mbps. Rural areas are left trailing far behind these speeds, and improvements are slow to come around. Why is rural broadband so bad? It all comes down to distance. Most of the internet is delivered through fibre optic cables. These cables are good because they let signals travel great distances without electronic interference. 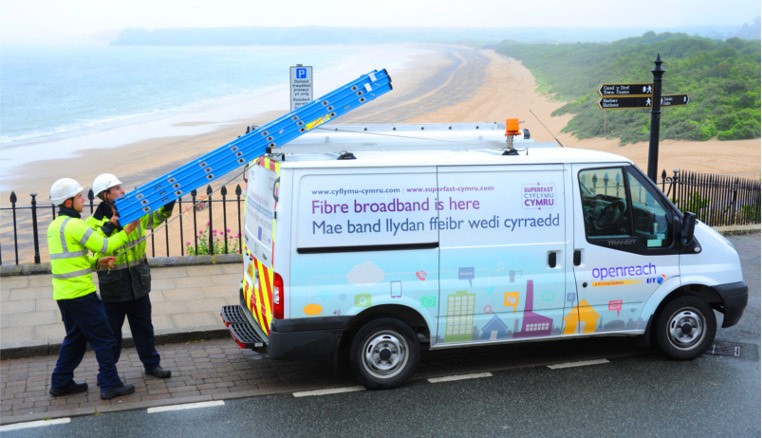 If you have fibre broadband, the ‘fibre’ is referring to the cable between your ISP and a cabinet close to your home. This connection is known as Fibre-to-the-Cabinet (FTTC). Your home is connected to your cabinet through copper cables – which turn out to be pretty bad at transporting data. If you have ADSL broadband, the copper cables are instead connected to the closest telephone exchange before reaching your ISP. This is why ADSL speeds are slower than fibre broadband. More copper equals slower internet. 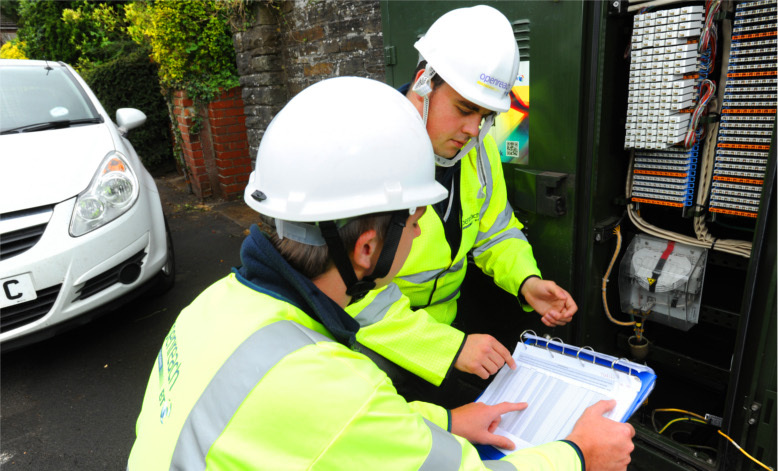 Rural areas are usually much further away from cabinets and telephone exchanges – meaning that, even with fibre broadband, a lot of copper cable is being used in your connection. The solutions seems simple – build more cabinets. But these cabinets are expensive to build, so they represent a significant investments for network operators. The lower population density of rural areas means that there just aren’t enough potential customers in range of a cabinet. If it isn’t profitable to build a new cabinet, a company isn’t going to build it. What’s the government doing about rural broadband? 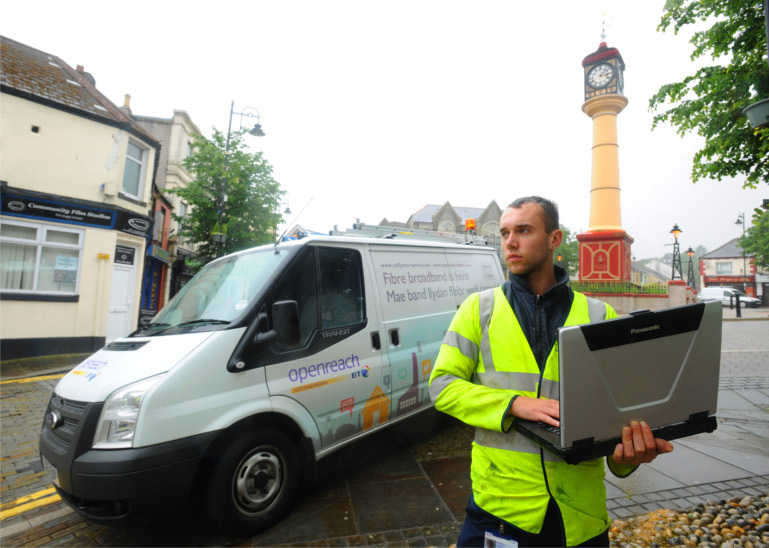 Broadband Delivery UK (BDUK) is a government body with the goal of improving broadband and mobile coverage in rural areas. BDUK supplies funding to network operators in an attempt to encourage improvements to rural internet. Their 2020 goal is a modest 2Mbps minimum speed for 95% of UK homes. Not only is 2Mbps a terrible speed to aspire towards, BDUK don’t even plan to get that to everybody. It’s not looking good. Can I get money off because of a slow connection? The Better Broadband Subsidy scheme is a government grant available to people currently experiencing speeds less than 2Mbps. This £350 grant is primarily designed to offset the sizeable installation costs of satellite internet. With a satellite, you can expect speeds far above the 2Mbps minimum – generally reaching around 20 Mbps. The downside of satellite internet is high latency. What about setting up my own rural broadband? Several rural communities have set up or completed community internet projects. This process involves communities raising the funding themselves to pay operators to upgrade their network. The village of Ollerton, in Cheshire, successfully raised £50,000 to pay for an FTTC cabinet in their village – using a combination of government grants and their own fundraising. This approach can take a lot of time, effort and organisation. But, if successful, will dramatically improve the broadband connection of a rural area. The options for rural areas aren’t great but, if you’re prepared to put in the work, a community broadband project could provide a good long-term solution. To find a community broadband scheme in your area, head over to the Rural Broadband Partnership offical site. There you can get access to help with funding, starting up your own project, and template letters to kick off contacts with your local council. You can also email rbenquiries@ruralbroadband.com or call 01376 386263.